Capcom is celebrating Mega Man's 30th Anniversary this week by looking at the Blue Bomber's vast influence over the past three decades. Shacknews is also celebrating, but by looking at a special fan-made effort that Capcom first helped bring to the masses five years ago. Mega Man is celebrating his 30th anniversary this week. Capcom already has its own plans to celebrate the Blue Bomber's first NES adventure, as well as his entire legacy. It's a legacy that features 10 original series games, numerous spin-offs featuring futuristic descendant Mega Man X, another handful of spin-offs centered around future Maverick Hunter Zero, still more spin-offs set in a story-heavy 3D world led by an explorer named Volnutt, a series of adventures set in a computer grid, and a whole lot of cameos. Sure enough, the celebration already started earlier this morning, with a new Mega Man announced, a new collection featuring Mega Man X, and the original series collection coming to the Ninteno Switch. Shacknews would also like to celebrate Mega Man's massive contribution to gaming history. But with all of those games in mind, there's one particular effort that stood out in recent years. That's because its creation wasn't so much from Capcom, but from one of the Mega Man fans that the publisher's work helped create. Today, we're looking at Street Fighter X Mega Man. Five years ago, Mega Man was celebrating his 25th anniversary. It was a time where his games were remembered for pioneering some of the most familiar platforming elements that have become staples of the genre. But it was also around the time that a new generation of developers were picking up many of the mechanics introduced by Mega Man and incorporating them into an entirely new batch of games. The dawn of the indie game introduced the world to young, bright-eyed developers passionate about getting their efforts into the hands of fans around the world. Some of those efforts were commercial, while others were strictly fan-made projects. Street Fighter X Mega Man was one of the latter, a fan-made creation from a Singapore native named Seow Zong Hui (a.k.a. "Sonic). It was born out of a love for both franchises, as well as a way for him to test his own programming abilities. "I wanted some practice with game programming, so I decided to make something for practice," Hui said in a 2012 Kotaku interview. "I managed to find some images online for Mega Man, and made something from it just for programming practice. At that time, 8-bit pictures were popular so I made some gifs of Street Fighter in the same style to test the response from the community and used Ryu as a test on the game engine I was building on. The results were great and I decided to continue working on it. Many of my friends who tried it were very impressed, and that motivated me as well… having support from friends and fans is something that's very important to developers." Capcom was receptive to Hui's efforts, helping his game become an official published-backed reality. On December 8, 2012, Capcom first unveiled Street Fighter X Mega Man as a free PC download, as a way to usher out Street Fighter's anniversary (which was also turning 25 at the time) and segue to Mega Man's anniversary. The result was a slew of robot masters that all resembled Capcom's legendary fighting series, but stages that all felt like Mega Man in its purest form. Street Fighter X Mega Man was fascinating in that it was a fan's interpretation of Capcom's original platforming formula. It was essentially somebody remembering the most classic elements of Mega Man platformers and incorporating them into a whole new adventure. Need minor foes? Check. How about bigger enemies that take multiple hits to defeat and spray projectiles all around the screen? Those are here, too. That's all well and good, but how about tough-as-nails platforming sections? Treacherous jumps where if Mega Man is even off by an inch, he gets offed by a bed of spikes? Yes, those are definitely in this game. 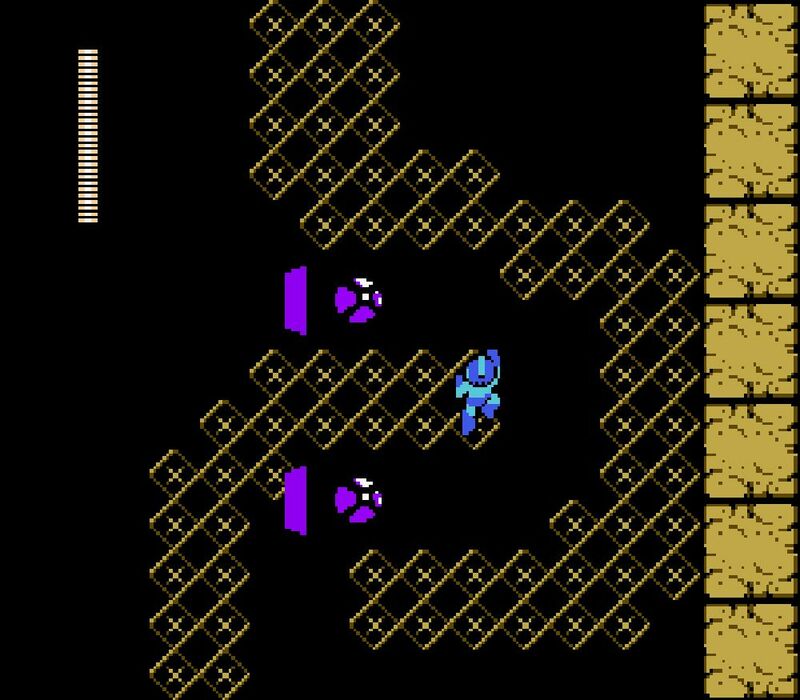 But what's particularly cool about this fan-made effort is that it stays true to the Mega Man level design, while simultaneously incorporating individual Street Fighter character motifs into every stage. 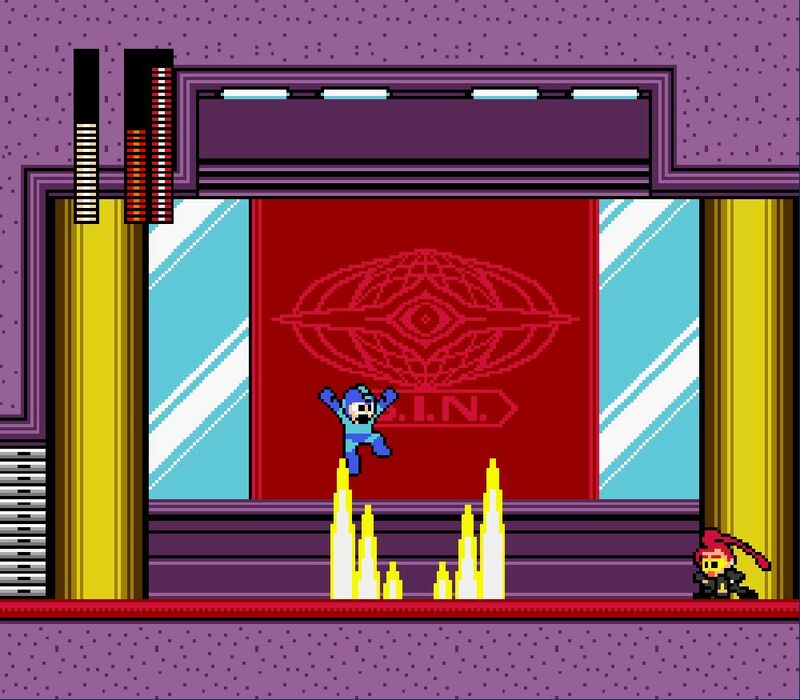 Rose's stage, for example, sees Mega Man flying aboard the Rush Jet while Rose's psychic projections and telekinetic-fueled swords are hurled his way. There's the Crimson Viper stage, taking place in a booby-trapped secret facility. There's the Ryu stage, which is filled with breakable board columns that can only be broken with martial arts! (Okay, they can be broken with the Mega Buster.) But there's one particular stage that turns the typical Mega Man formula on its head. That makes Balrog's stage less of a boss fight and more of a frantic chase, as Mega Man has to outrun the boxer and his charged punches. In his way are numerous enemies, each of which cause the usual Mega Man knockback on contact, including exploding fireworks and the cart-riding Mets first introduced in the Chun-Li stage. The stage would only conclude after Mega Man reached the end and Balrog clumsily plummeted to his own death. It's a stage that's still unlike any main entry Mega Man level so far and one of the most creative in the entire old-school series. Mega Man games are often as good as his gallery of Robot Masters. It's tough to disagree with the fact that Dr. Wily started to run low on ideas towards the end of the series' run. Fortunately, Street Fighter X Mega Man didn't have to worry about any of that and used the Street Fighter cast as the Robot Masters themselves. That only meant putting focus on the actual boss design, which was centered around the fighters' array of special moves. 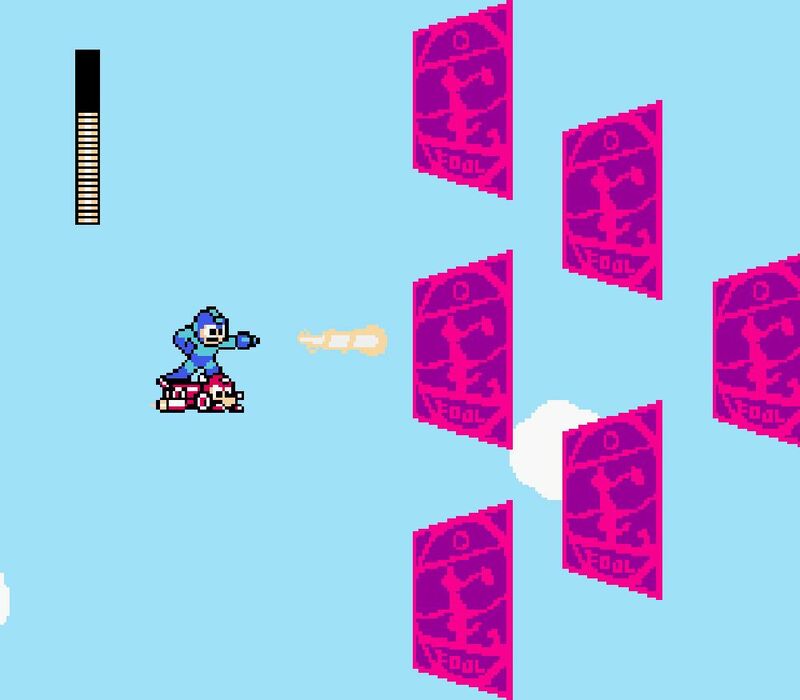 The attention to detail was brilliant, with certain fighters letting out chiptune yells, utilizing moves that would send them flying across the screen, and individual powers that all had their uses in the main stages after Mega Man swiped them. But it wouldn't be a Street Fighter product if there wasn't a secret fighter at the end. And sure enough, there was an old-school 8-bit era challenge that tasked players with scoring a "PERFECT" on four bosses, meaning clearing them without taking a hit. That would take a page out of Super Street Fighter II and see Akuma challenge the player as the game's final battle. And the fight with Akuma is every bit as hard here as he was back then. If there's anything past generations of video game players will remember fondly, it's Mega Man's chiptune soundtrack. It's unique in its robotic tones, blips and beeps that sound like they came from another time, and always came with a faster beat that people could bob their heads to. These themes were all put together by Luke "A_Rival" Esquivel. While there are some people that first heard of this electronic music producer through the SFxMM soundtrack, Esquivel has gone on to greater things since its release. In addition to some of his other remix albums, A_Rival also put together an EDM cover of the Crypt of the Necrodancer soundtrack, featuring over 40 mixes. His catalogue can be found on Bandcamp. Capcom or even diehard Mega Man fans won't be going out of their way to put Street Fighter X Mega Man near the top of any favorite lists, when it comes to the series as a whole. But let's think about what this was at the time. This was a rare fan-created project that not only wasn't shut down or sent any kind of cease-and-desist letter, but it was one that was embraced by the series publisher itself. That doesn't happen in 2017. In fact, it was unheard of even in 2012. On top of all of that, this was a quality release, one filled with classic Mega Man platforming, some new twists, and some bonkers challenges. For those who don't own a Mega Man game, haven't been able to pick up either Mega Man Legacy Collection, or just don't own a console, period, Street Fighter X Mega Man is a great way to honor the legacy of the Blue Bomber. Sure, he's not aiming for Dr. Wily this time, but his adventure won't be any less difficult or satisfying because of it. Those that would like to try out this special labor of love can find Street Fighter X Mega Man, still available for free on PC, over on Capcom-Unity.